Price has changed little in the previous days and it has shown some oversold signs, but you should be very careful because the rate could drop anytime and could hit fresh new lows. Ethereum hovers above a very, very strong dynamic support and it could move higher if it will fail to reach and retest it or if we’ll have an important false breakdown. 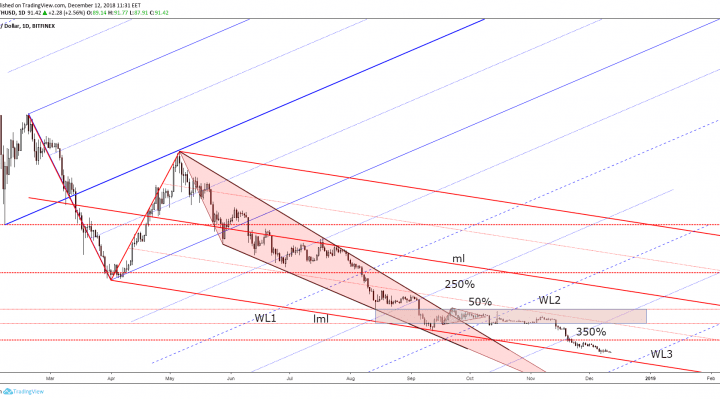 The perspective remains bearish as the Bitcoin maintains a bearish perspective. I’ve said in yesterday’s Bitcoin report that we may have a further drop if the rate will make a valid breakdown below the near-term support levels. 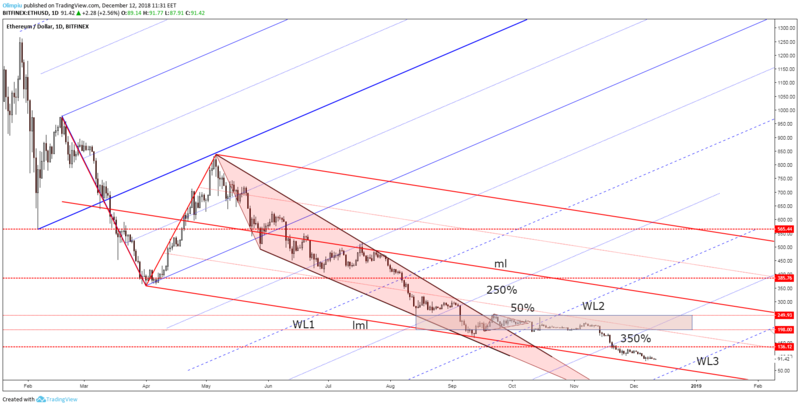 It has failed to reach and retest the lower median line (lml) of the descending pitchfork in the last two attempts, but as I’ve said, Ethereum could reach new lows anytime. The perspective remains bearish after the valid breakdown below the 136.12 and below the 350% Fibonacci line of the former ascending pitchfork. A valid breakdown below the lower median line (lml) is possible if the rate will reach it and if it will close on it. Support can be found also at the third warning line (WL3) of the former ascending pitchfork. Price could be attracted by the confluence area formed between the WL3 with the lower median line (lml). A valid breakdown through the mentioned confluence area will accelerate the sell-off, while a false breakdown followed by an aggressive bullish momentum could announce a reversal. However, it is premature to talk about a reversal at this moment because we don’t have any reversal signal. You should stay away for now and wait for a fresh trading signal. Maybe we’ll have another sideways movement on the short term before the rate will register an important move.